A publisher wants to publish your book! Days when you don’t know what to say, and even if you did, the words are stuck somewhere in your head, in a faulty box which won’t budge open. But wow, that last bullet…I can now add the opposite, to the up pile. Because I finally know what it feels like to be short-listed – and it’s bloody amazing. 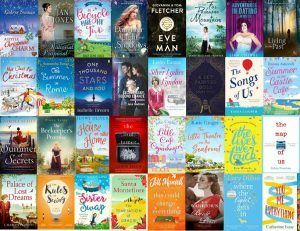 Now just before I get too carried away, I know I’m short-listed for the shorter romantic award, not one of the ‘big’ categories like contemporary romance or popular fiction. But nothing will take away this feeling of – whoop! A Little Christmas Charm, there among the short-listed books. Nestled alongside other authors I so admire. Here’s the link to the RNA website so you can see the other short-listed books. Perhaps have a read of a few from authors you love but hadn’t realised they had a new book out, or authors you’ve not tried before.